Winter will soon be in Kentucky (if it hasn't arrived already! ), which unfortunately means fishing season is over. Lexington Mini-Storageï¿½has a few ideas for how to store all of your fishing supplies. Cheaper rods need little to no care. However, more expensive rods with cork handles will need more preparation for winter. 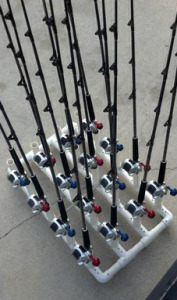 You want your rod to be stored as straight as possible, so remove any heavy tackle that may cause it to bend during its winter storage. Clean the guide and make sure there are no nicks or cracks in them.